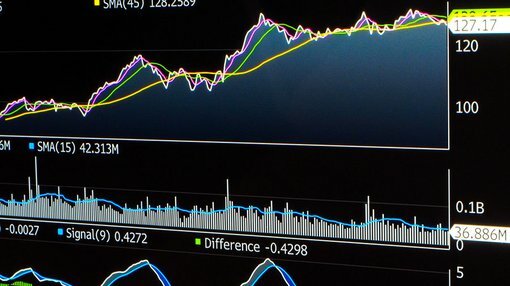 With a trading outlook focused on the short-term price movements of an asset, technical analysis is undoubtedly the greatest tool in a trader’s arsenal writes Sam Green advisor at Options Educator, TradersCircle. There are certain prices from time to time that do not sufficiently reflect the financial position of a company, despite what technical factors may be displaying. We sometimes look to price, earnings, and other valuation calculations to get an indication of the premium charged for a particular stock as well as to gauge the market’s expectations for the stock’s growth and profitability. Presented below is a brief detail of fundamental data that could be considered when speculating future price movements of a particular stock. Of course, the analysis of such data should be used in conjunction with other information and indicators to form a view rather than being solely relied upon and you should always seek professional financial advice. Price-Earnings ratio (P/E ratio) – The P/E ratio is calculated by dividing the market price per share of a company, by the earnings per share of that company. In this way, the ratio describes in years the amount of time it would take for a company to earn their current market capitalisation, assuming that earnings remain constant. The historical average P/E ratio for the S&P/ASX 200 is roughly 15. A higher ratio indicates that a company is considered “expensive” with a lower ratio indicating that a company is considered “cheap”. Companies trading with a P/E higher than the market average are expected to outperform the market in the future, with lower P/E ratios reflecting the expectation that a company will underperform. Pairs trading/Dogs of the DOW –There are several strategies that incorporate P/E measurements into their decision making. An example of this is the pairs-trading strategy, where a trader will trade the P/E divergence between two very similar companies. For example, consider that ANZ and NAB have historically averaged the same P/E of around 13 multiples. Consider that ANZ rises to a P/E of 14, whilst NAB falls to a P/E of 12. A pairs trader would go long on NAB, whilst simultaneously shorting ANZ. The pairs-trader relies on the ideal that the P/E of NAB and ANZ will converge by way of NAB’s price rising and/or ANZ’s price falling until parity is met. The Dogs of the DOW strategy takes its name from the companies the strategy champions. It relies on the belief that underperforming companies (with a corresponding low P/E relative to their peers) are at the bottom of their economic cycles. The belief is that these companies will soon move into expansionary periods and that buying them at the bottom of their “cycle” will ensure that average market returns are exceeded as the company returns to expansion. Price / Earnings to Growth ratio (PEG ratio) – The PEG ratio is calculated by dividing a P/E ratio by the annual growth in earnings per share. This allows us to better compare the P/E ratios of companies with different earnings growth rates. A lower PEG ratio indicates that a stock may be “cheap or undervalued” with a higher PEG indicating an “expensive or overvalued” stock. Similar to the other price ratios, the PEG number will also reflect the market’s expectations for the company, with a higher PEG indicating stronger expected performance. Dividend yield (Dividend-Price ratio) – The dividend yield of a company is calculated by taking the most recent full-year dividend of a company and dividing it by the current share price. The ratio will therefore indicate the amount of time it will take for you to recoup the current share price in dividends, assuming dividend are constant. This ratio does not factor in franking credits, which are a tax offset that increase the effective value of the dividends to taxpayers. Price-Sales ratio – The price to sales ratio is calculated by dividing the current share price by sales per share. In this way, it is an indication of how long it would take a company to earn their market capitalisation in sales revenue, assuming a constant level of sales. It is beneficial in this sense as it can be used on companies without positive earnings or even positive net assets. Price-Book value ratio (P/B ratio) – The book value of a company is measured by the net assets of the company, either excluding or including intangibles assets and goodwill. The P/B ratio is calculated by dividing the current share price by the stock’s book value per share. This ratio is therefore a good indication of the premium that a stock is currently experiencing over its balance sheet valuation. These valuation metrics are traditionally used to identify long-term holdings, due to the belief that these metrics are a useful way of valuing the underlying business. The calculations by themselves are not a reliable indicator of short-term price movements. However, they can be used to get a picture of market expectations, as well as profitability and shareholder reward.